At this time of year it is appropriate to farewell those members of staff who have served the College community and wish them well in their new ventures. Mr Tony Di Fronzo, Ms Emily Ireland and Mrs Leonie Owens will be on leave for all of 2019. Mr Peter Birrell, Mr Luke Grzywacz, Mr Simon Mitchell and Mr Tom Zinkel come to the end of their contract this year. We especially wish Mr Zinkel and his family well on their move to Queensland next year. Our very best wishes to Mrs Susana Afeaki as she commences her retirement next year. We wish Ms Claire Halse, Mr Matt Calder, Ms Margaret Murney and Ms Tracey Craze well as they move to other schools in Canberra and NSW. Mr David Redfern has been on exchange with us from Canada this year and he has been a wonderful addition to the College. We thank him for his many contributions. Mr Redfern returns to Canada early next year. I also thank Mr Jacob Knowles who has been Acting Deputy Principal this year for his outstanding work and contributions to the College community. Mr Knowles will remain with the St Edmund’s community next year in another role. 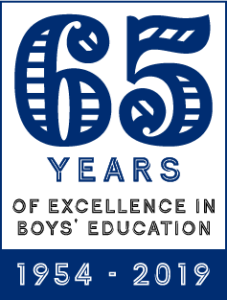 Next year we celebrate the 65th Anniversary of the College. Charles Morella was an Old Boy of the College who passed away this year. To honour the memory of Charles, some of his associates and colleagues have formed to create the Charles Morella Scholarship to financially assist a family within the College who would be in need of support. I am touched that the memory of a former student should be honoured by supporting the education and development of a present student. I sincerely thank the associates and colleagues of Charles Morella who have gathered together to organise this Scholarship and thank his family for the wonderful support of this initiative. This is very much in keeping with the strong ethos of Edmund Rice schools, continuing the belief and tradition of Edmund Rice that by making education available to those in need, we are also providing a great sense of hope through the personal development and social engagement that an Edmund Rice education provides. The Charles Morella Scholarship will commence in 2019. As this is the final Vortex for the year, I would like to thank all members of the St Edmund’s community for your wonderful support in my first year as Principal of this great College. I have been most warmly welcomed throughout the year. There is much to do here at the College as we continue to seek ways to improve and strengthen, and I am looking forward to working on many areas of College improvement over the next few years. I especially thank our members of staff for their incredible hard work and goodwill in many areas of College life; I thank our old boys and parent volunteers who have contributed in many positive ways to the College. I thank the members of the College Leadership Team, the Heads of Faculty and Heads of House who lead the school in a strong manner. I thank our student body, the Eddies boys, for their energy, humour and work. I am especially proud of the fact that in the last few weeks students from St Edmund’s have featured significantly in local media for the great work they have done with local agencies and charities. Our boys truly embody the legacy and spirit of Edmund Rice in using their education, knowledge, wisdom and spirit to assist and support those around them. I wish all of you a Blessed Christmas, a safe and happy holiday break and a very prosperous new year. I look forward to continue serving this community once again as we move into 2019. I leave you by sharing a beautiful Christmas Creed – a series of beliefs which are quite poignant and relevant to us all as we move into the Christmas season where we remember and celebrate the birth of Jesus and reflect on God’s amazing generosity. It is truly a time of joyful celebration and love. I believe that Christmas is more than a time for parties and ornaments; it is a time for remembering Christ and the incarnation of God’s love in human flesh. I believe there are gifts more important than the ones under the Christmas tree, the things we teach our children, the way we share ourselves with friends, and the industry with which we set about reshaping the world in our time. I believe that the finest carols are often sung by the poorest voices; from hearts made warm by the wonder of the season. I believe in the angel’s message that we should not be afraid – that the Child of Bethlehem is able to overcome all anxieties and insecurities. I believe in prayer and quietness as a way of appropriating Christmas – that if I wait in silence I will experience the presence of the one born in the manger, for he lives today, as surely as he lived then. I believe in going away from Christmas as the wise men went: “another way”. I want to be different when these days are past – more centred, more thoughtful, more caring. And I believe God will help me. Blessed Edmund Rice, pray for us.